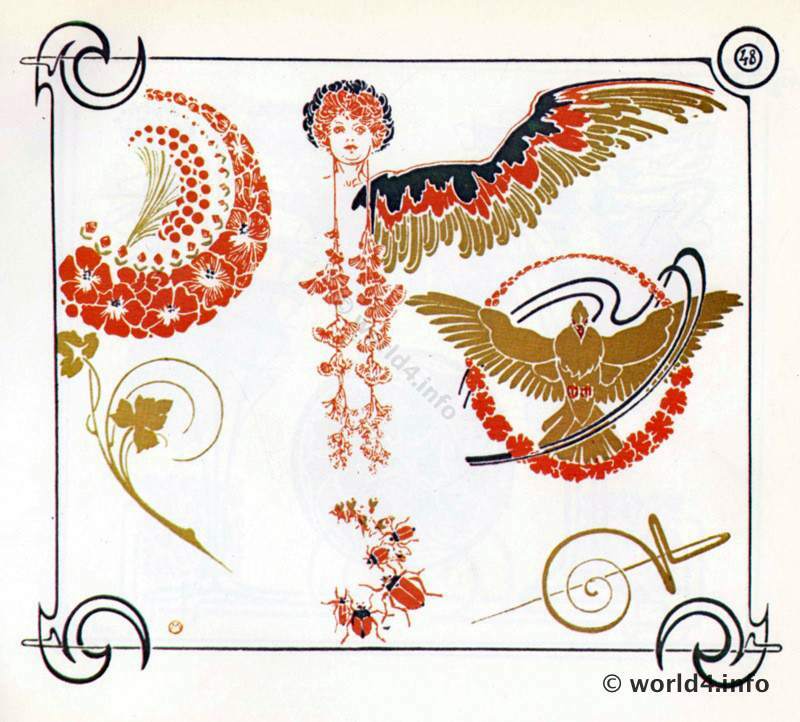 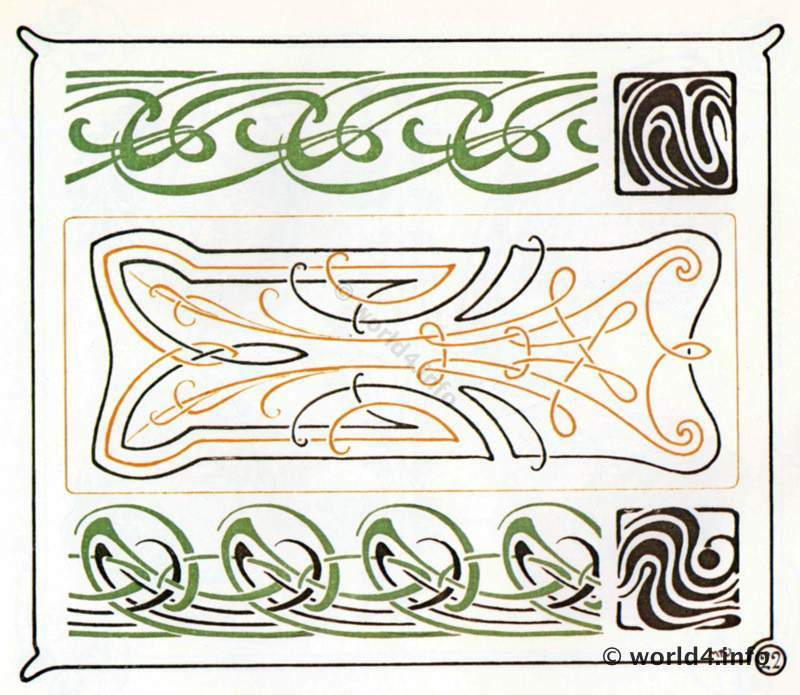 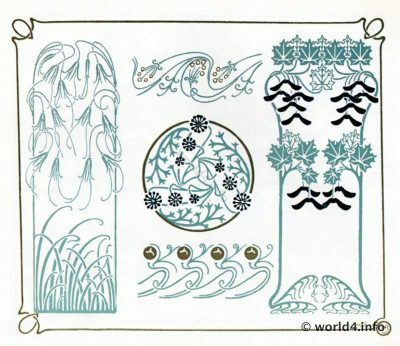 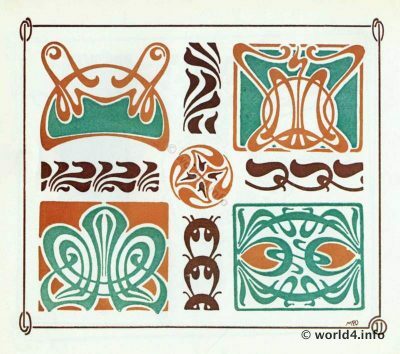 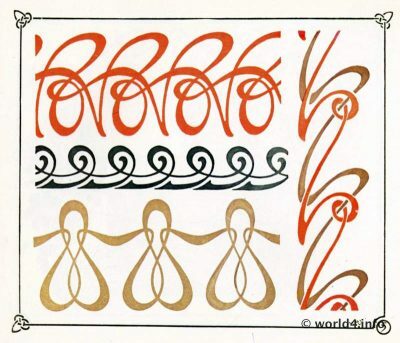 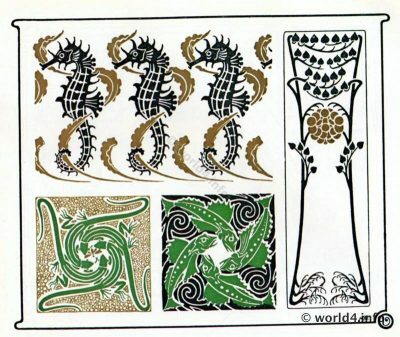 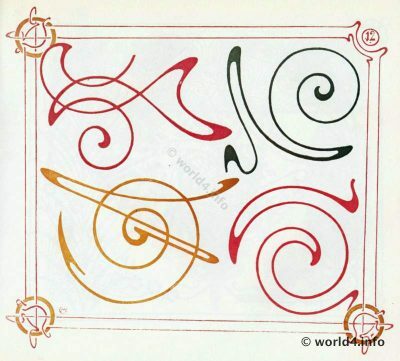 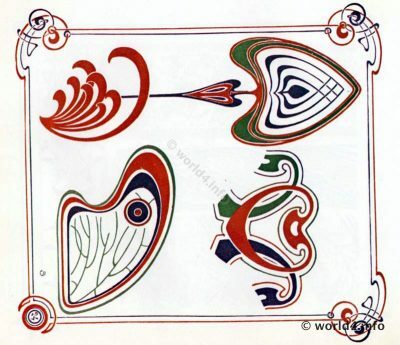 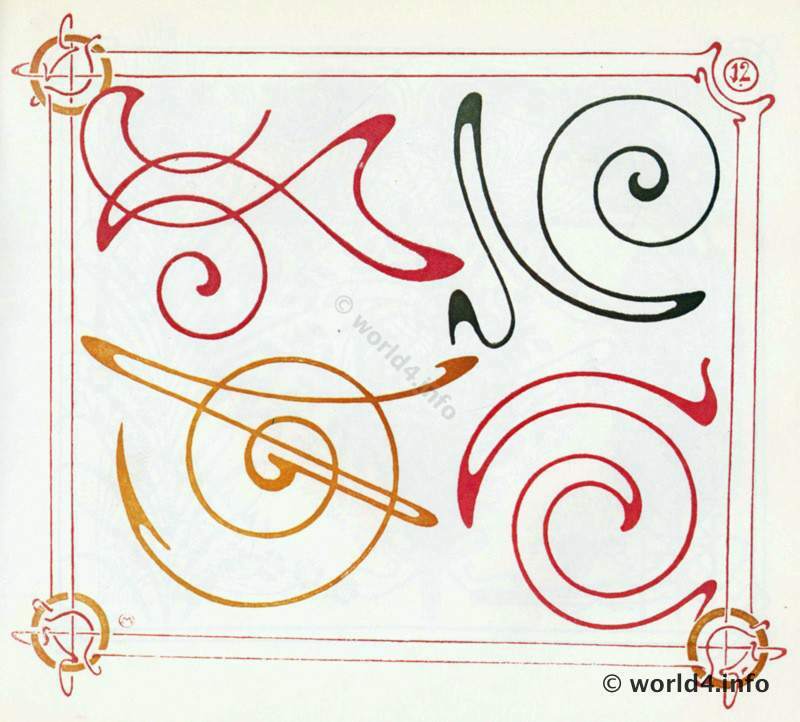 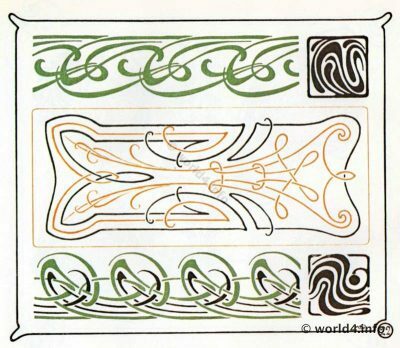 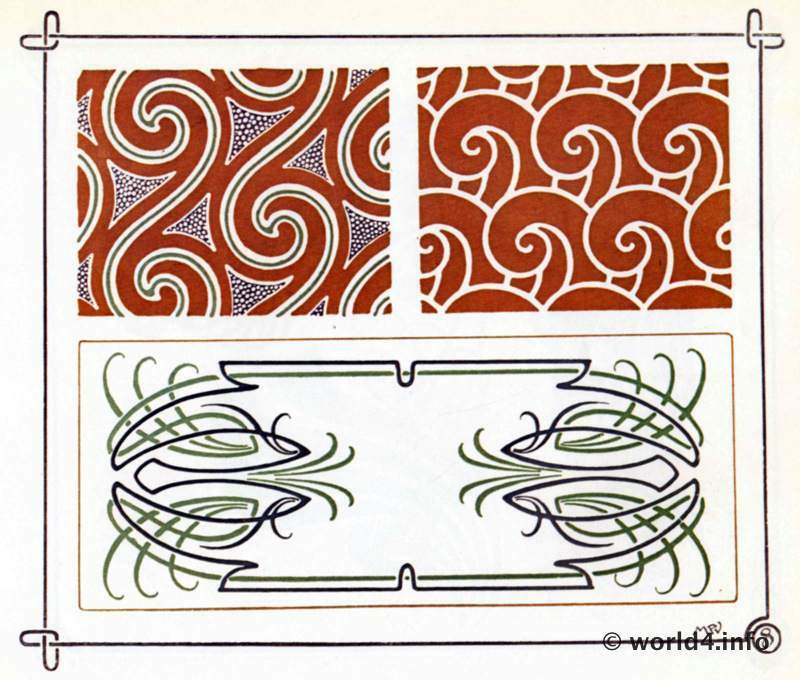 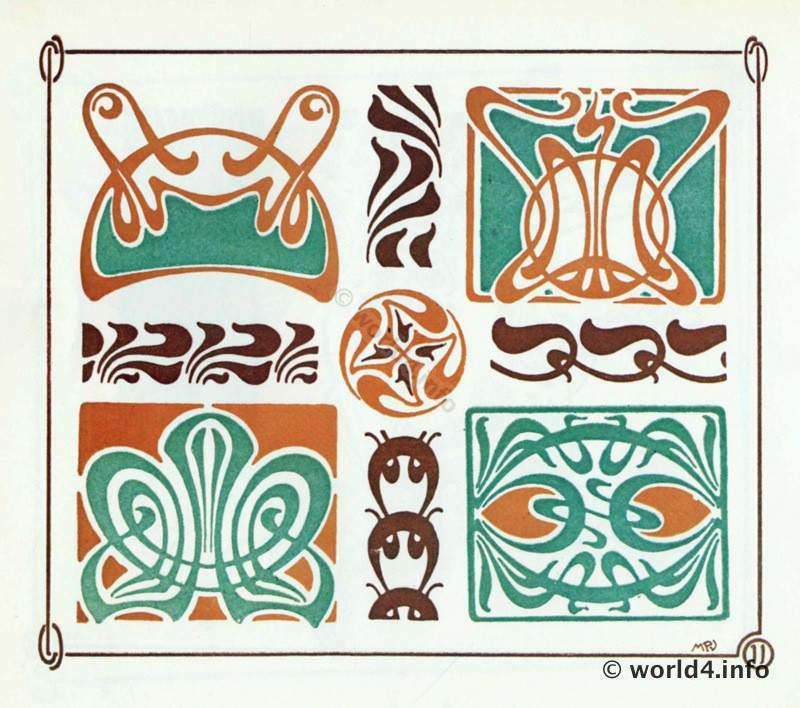 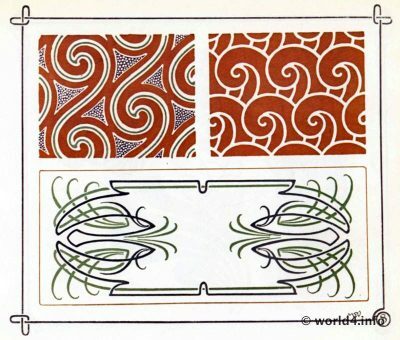 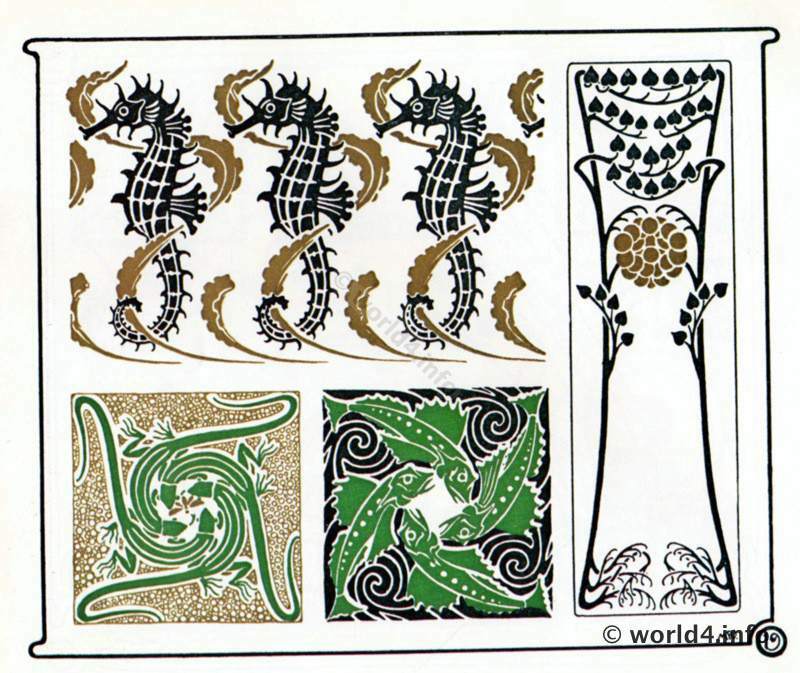 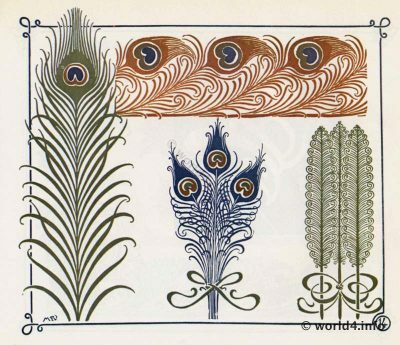 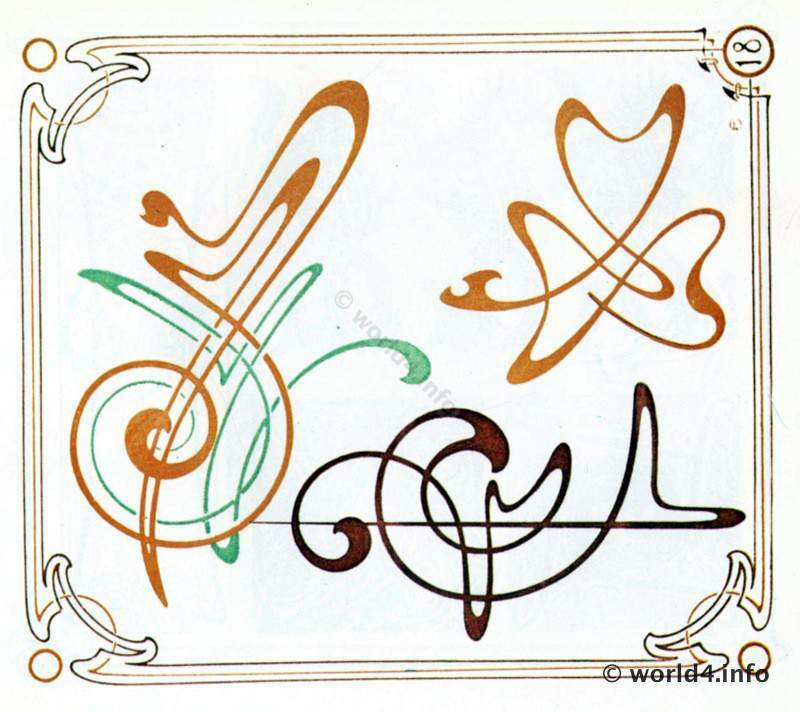 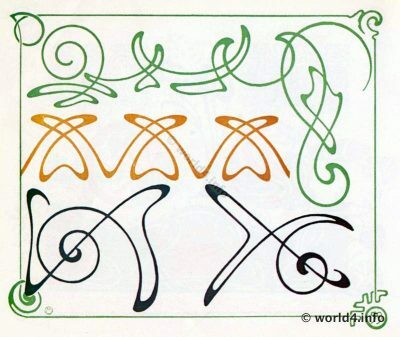 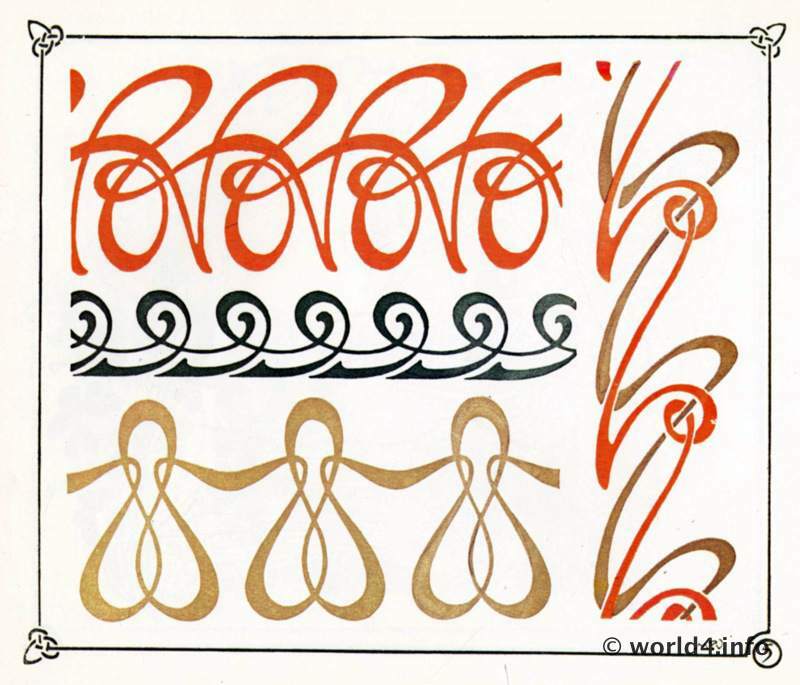 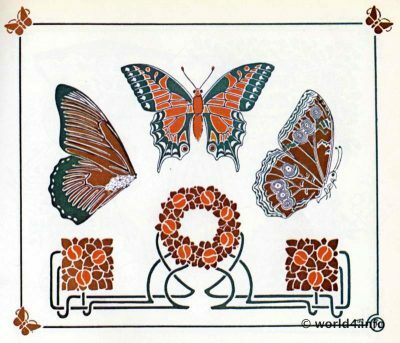 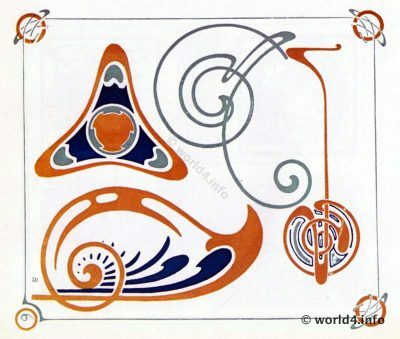 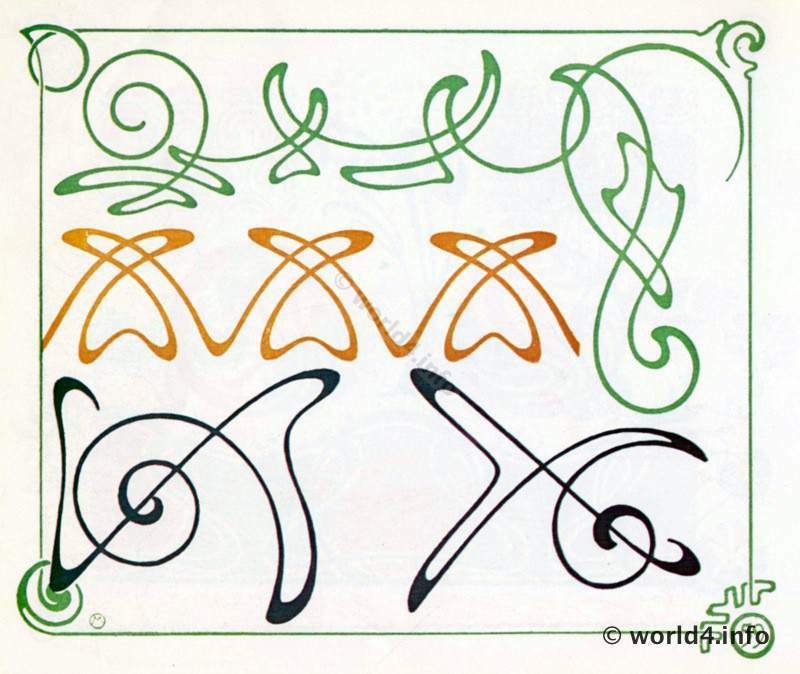 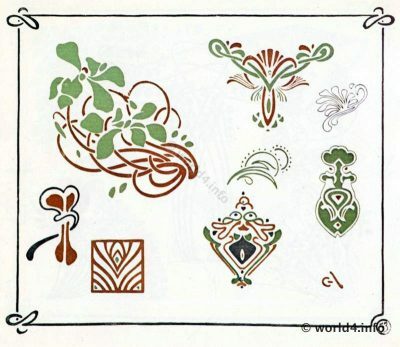 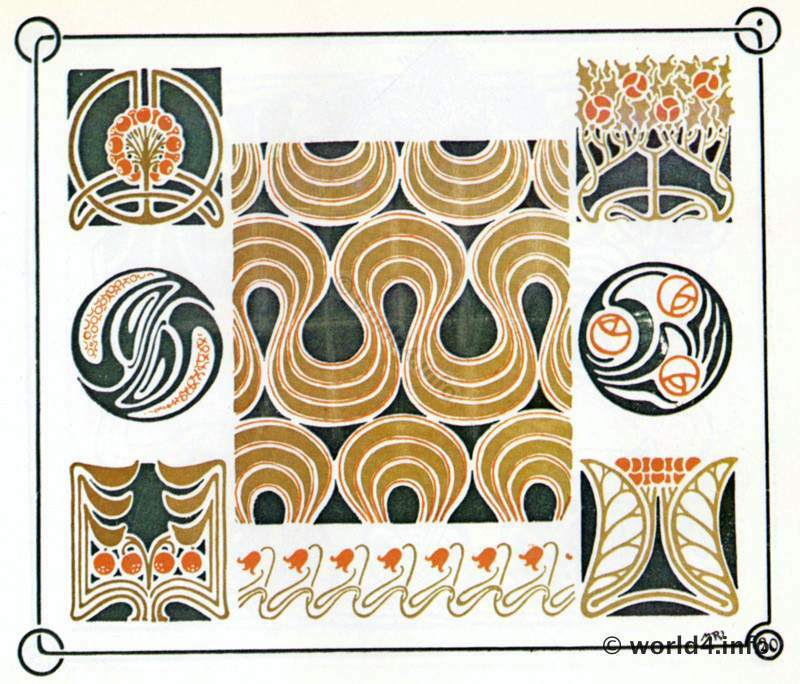 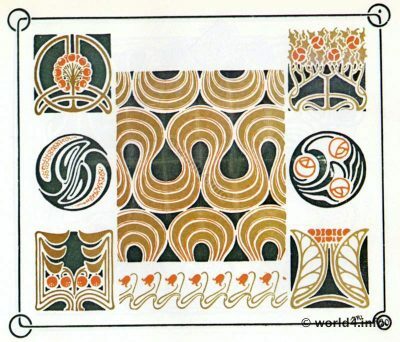 Home » Art Nouveau Ornaments. 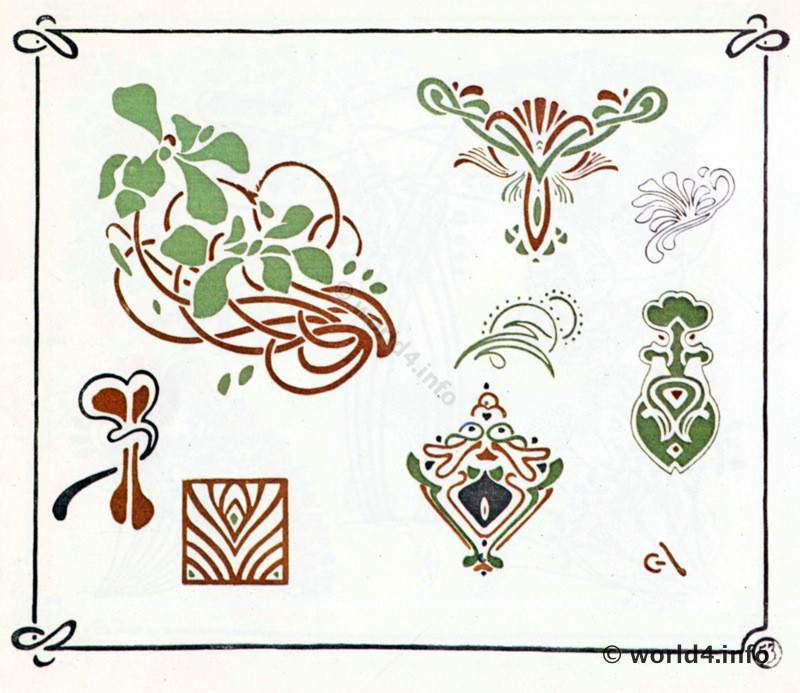 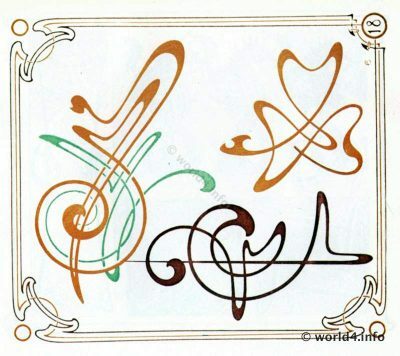 Decorative arts by Alfons Mucha. 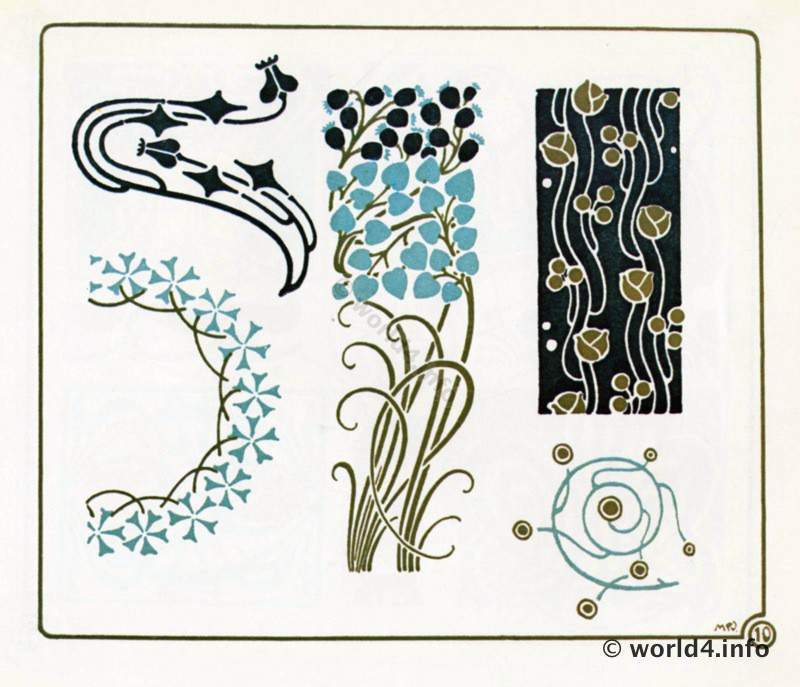 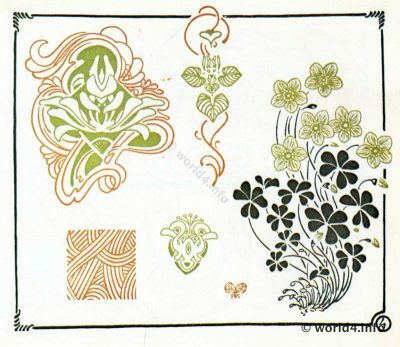 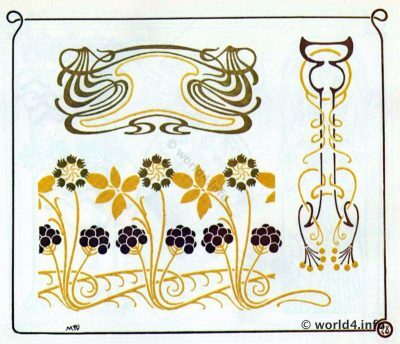 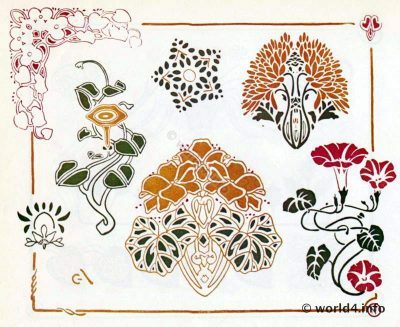 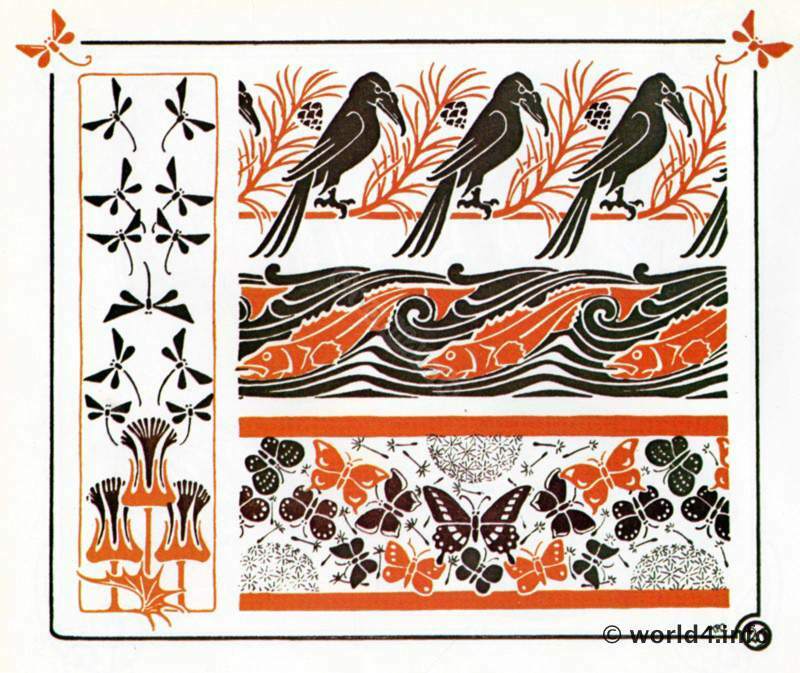 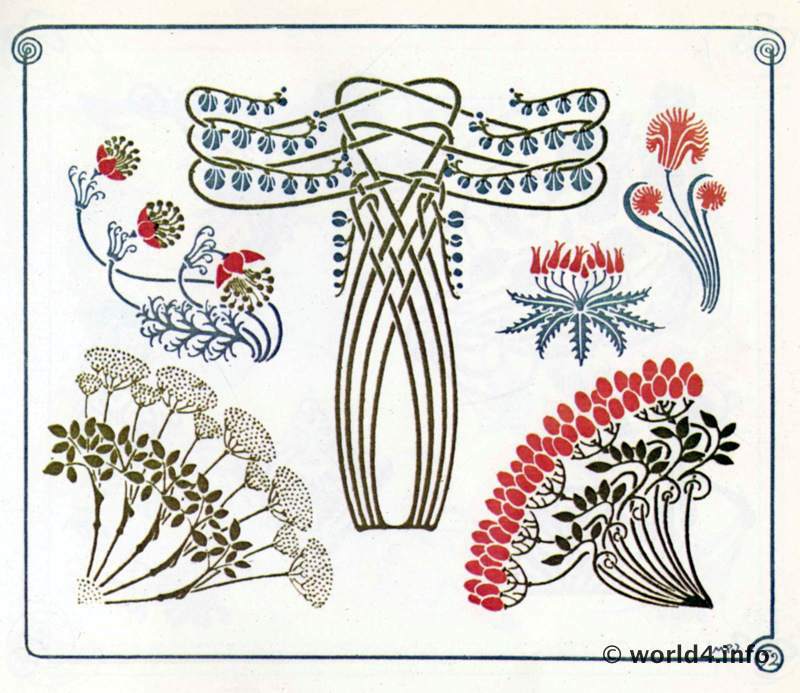 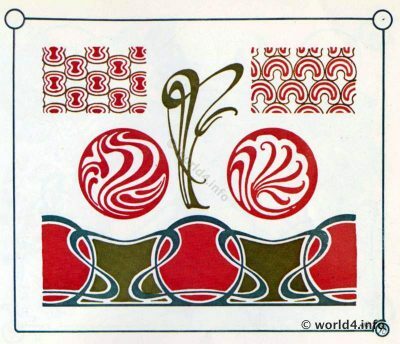 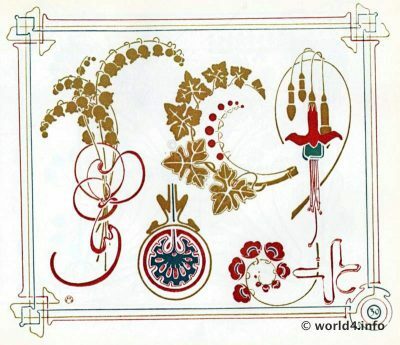 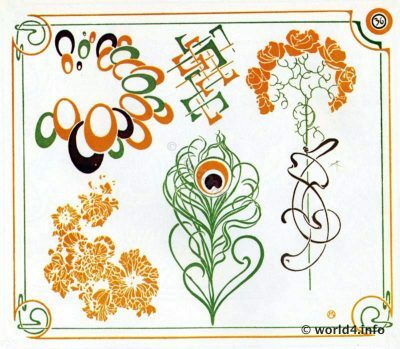 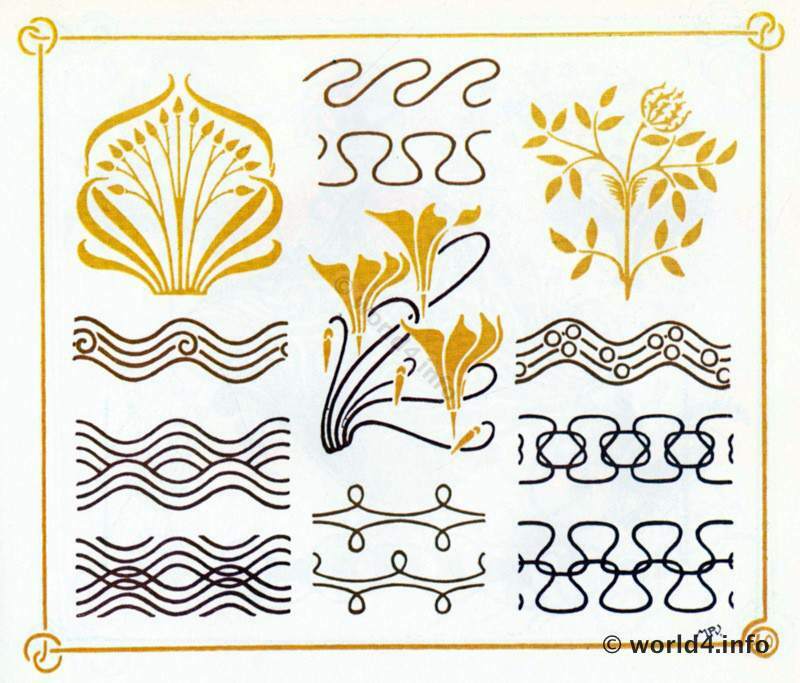 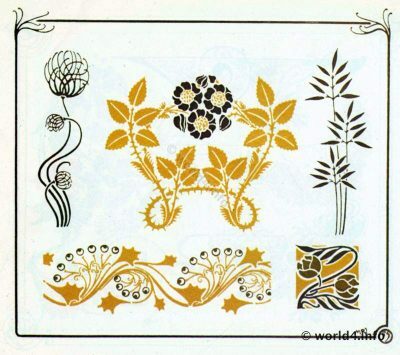 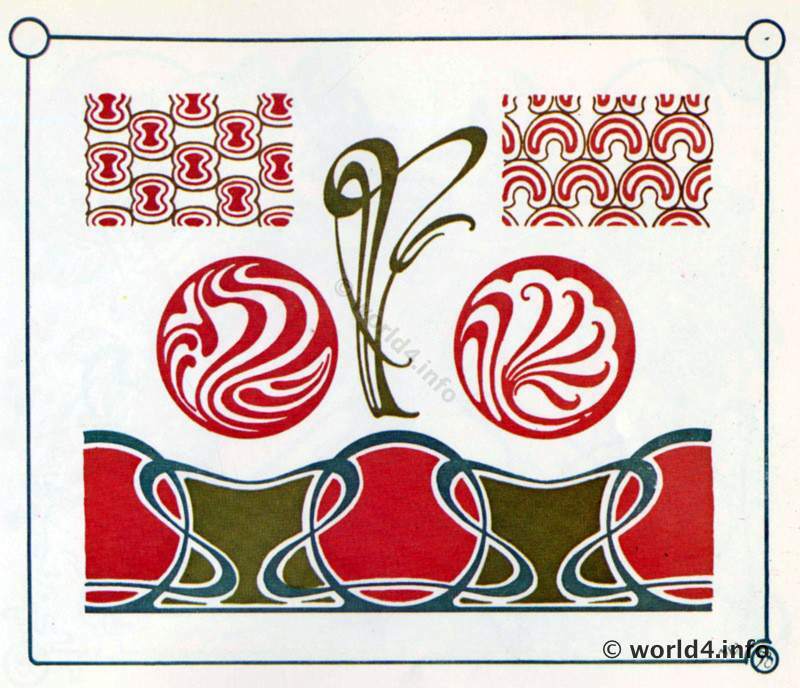 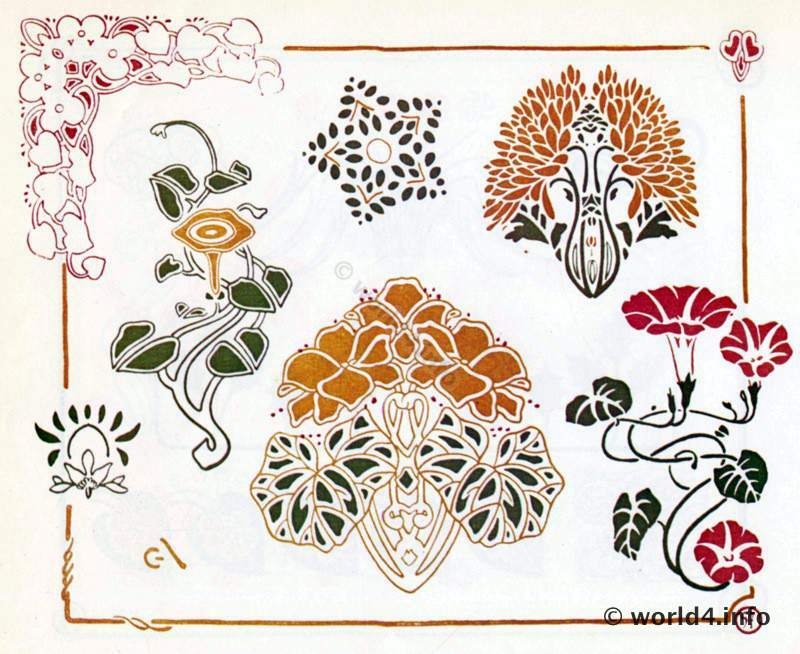 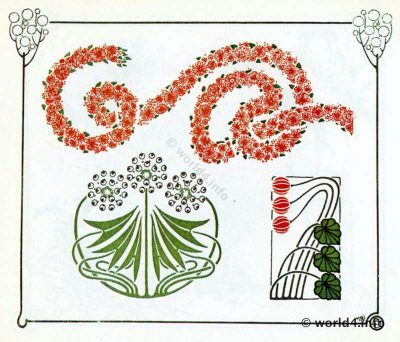 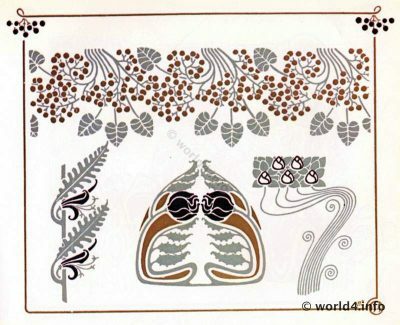 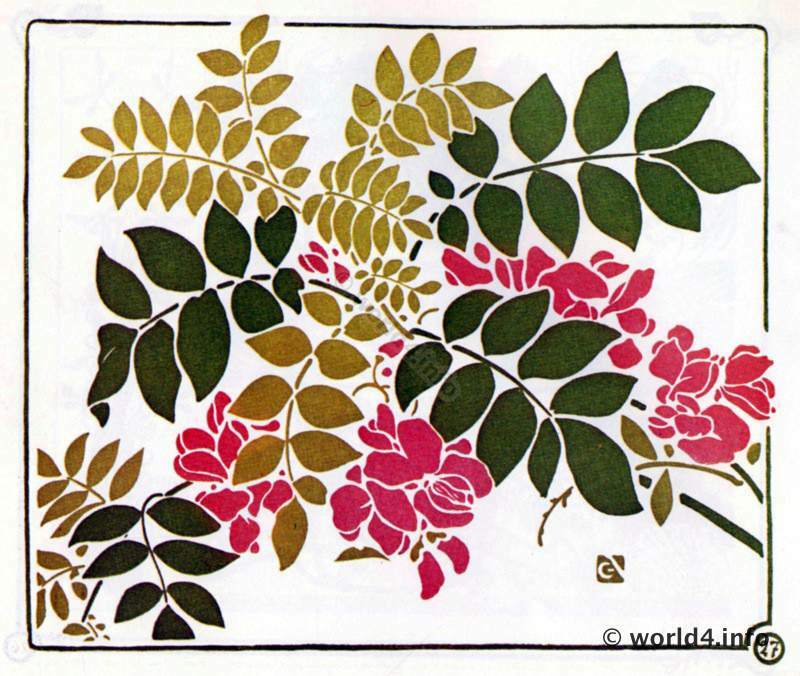 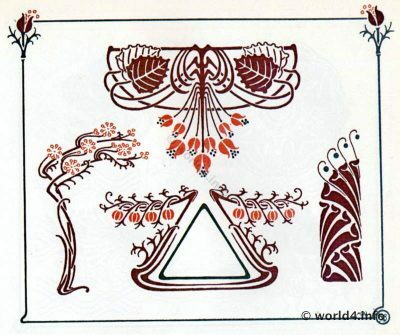 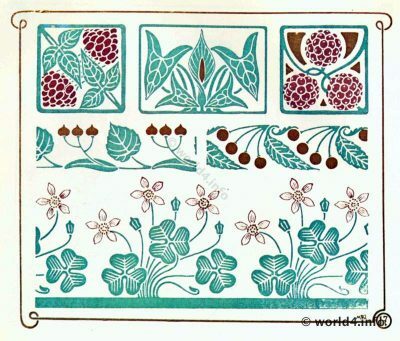 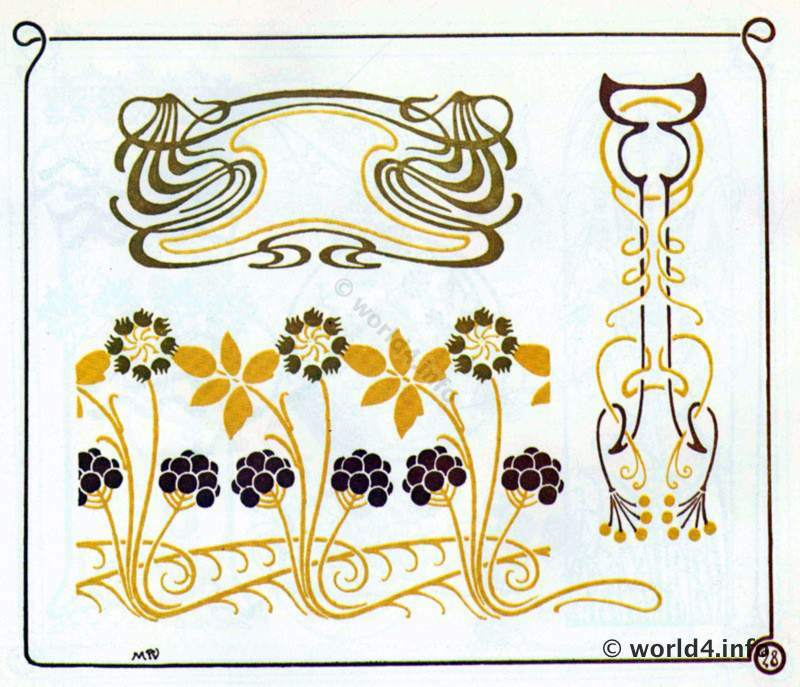 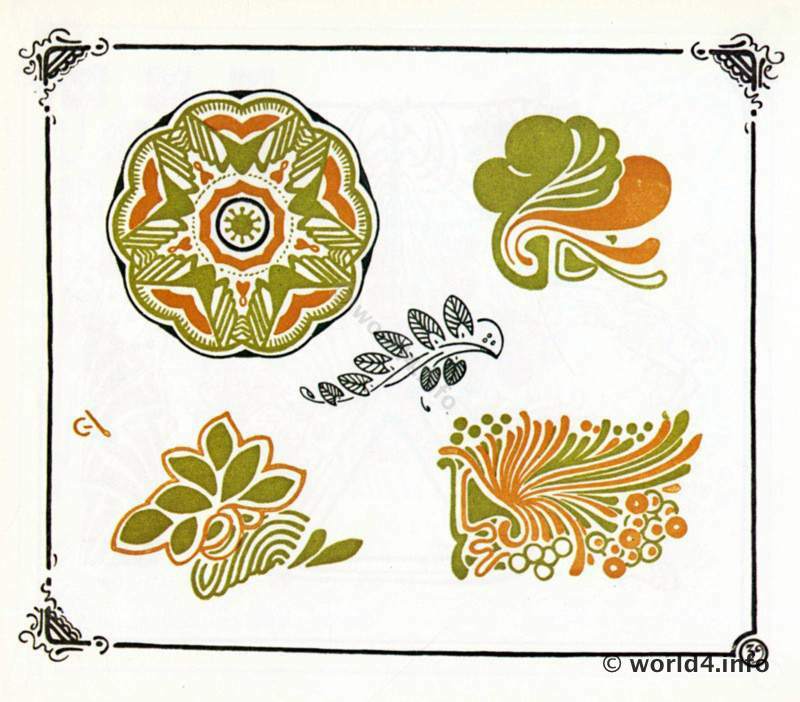 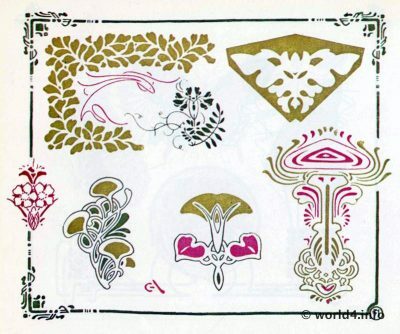 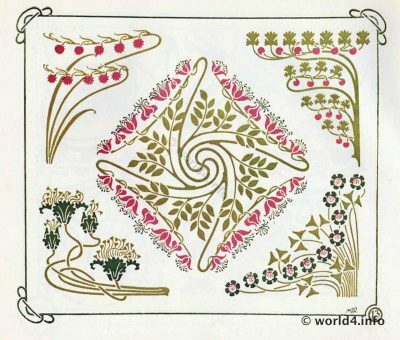 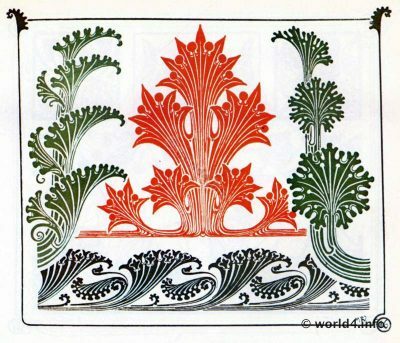 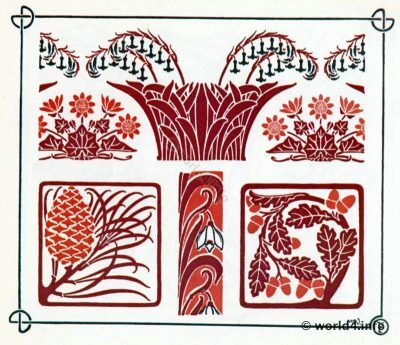 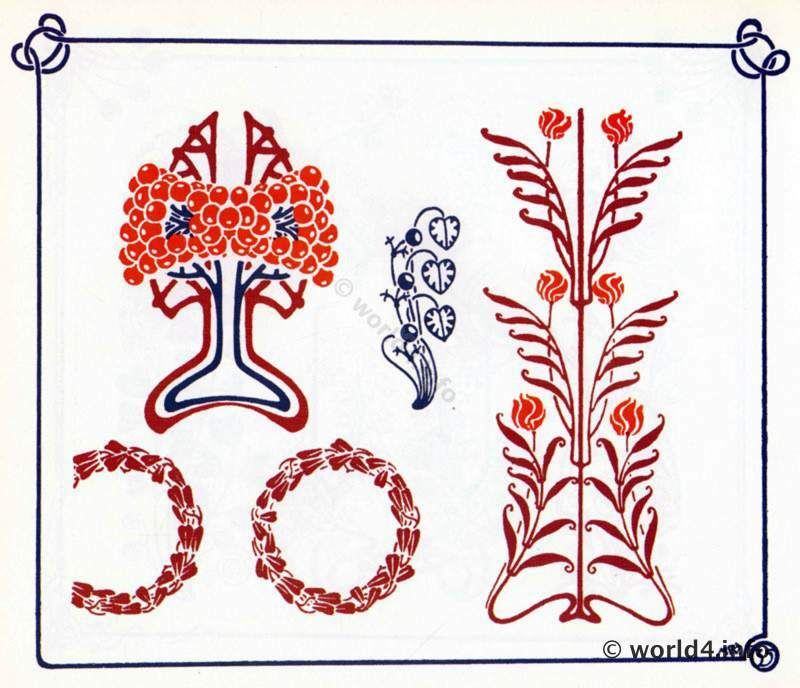 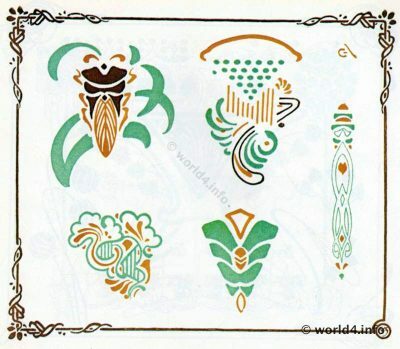 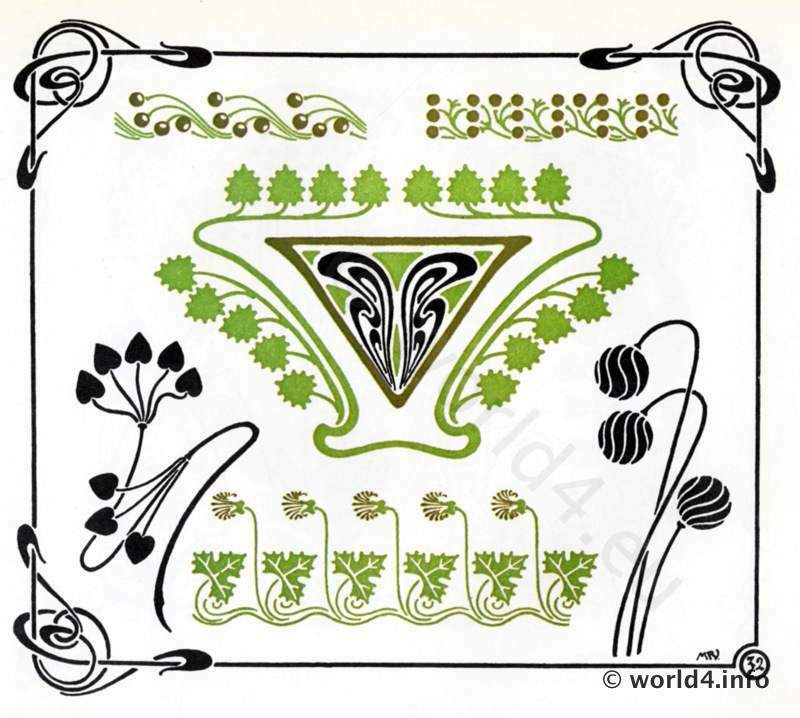 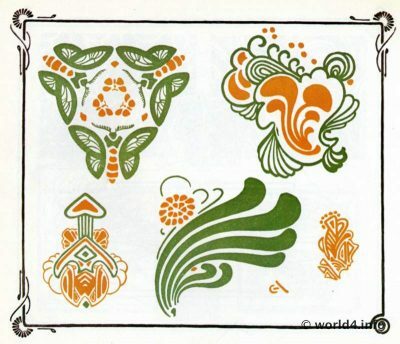 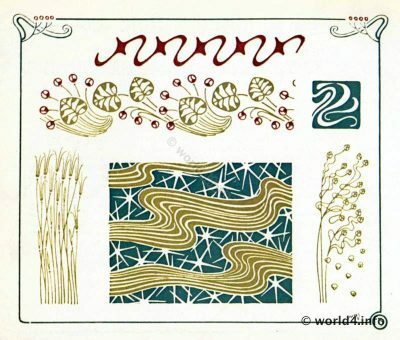 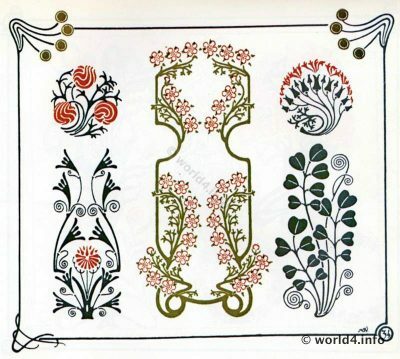 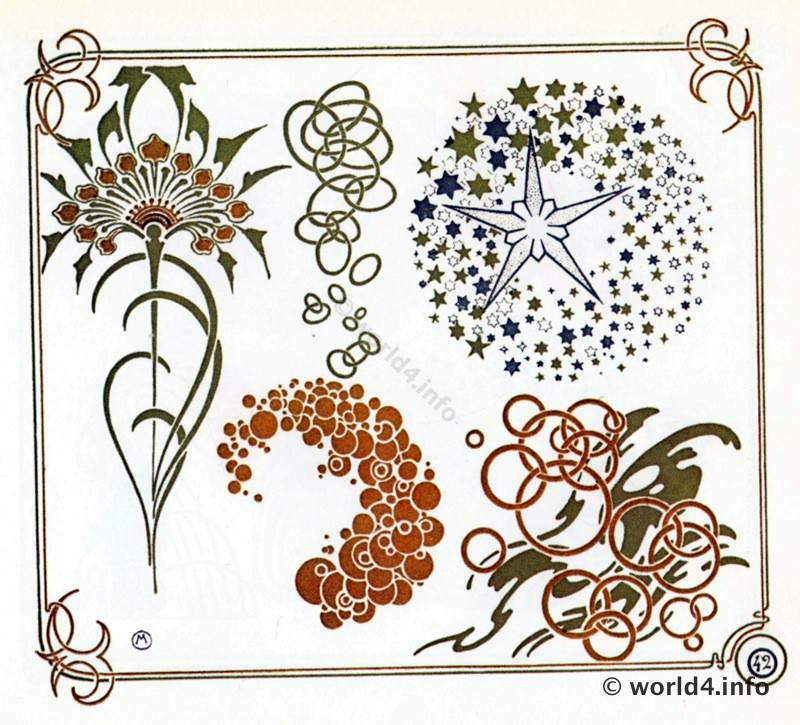 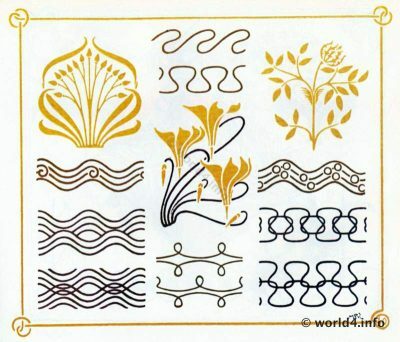 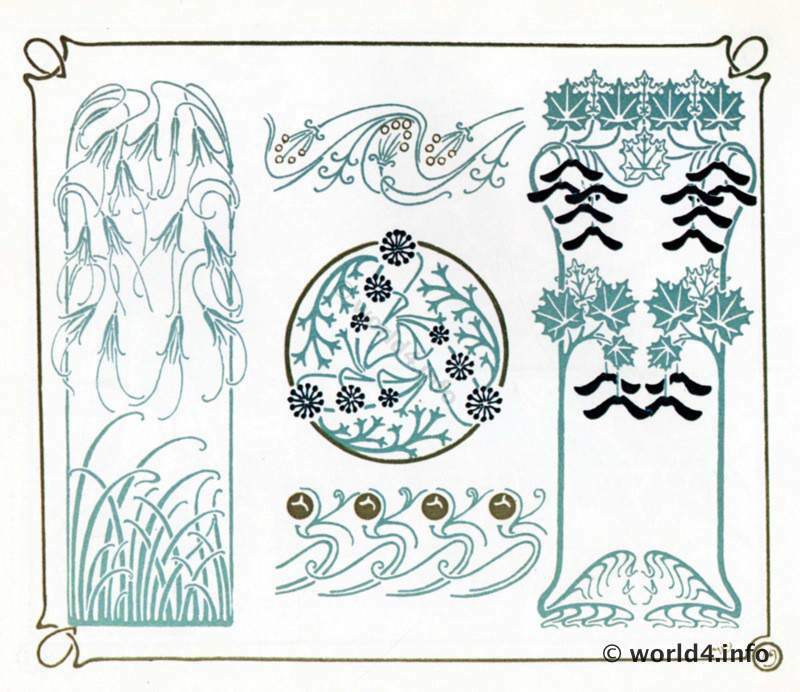 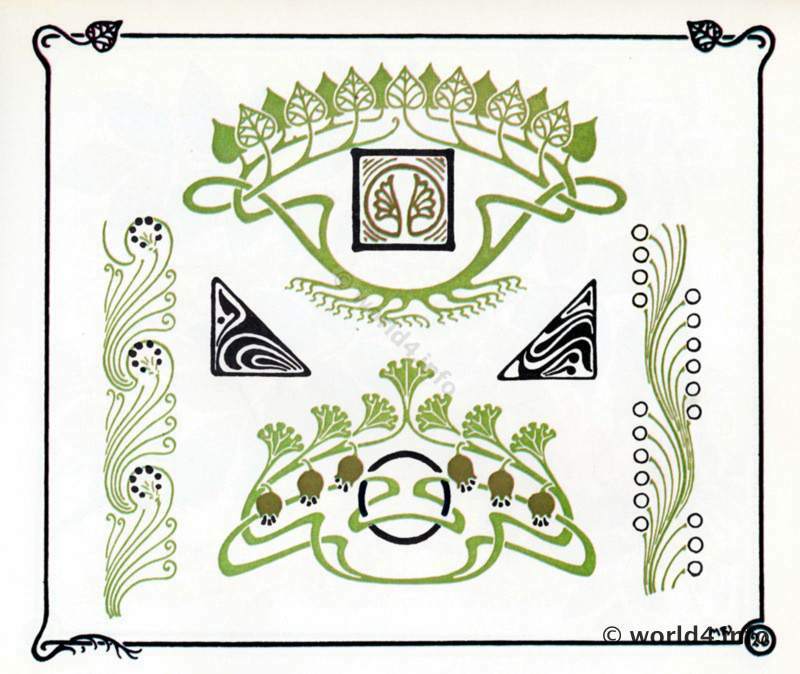 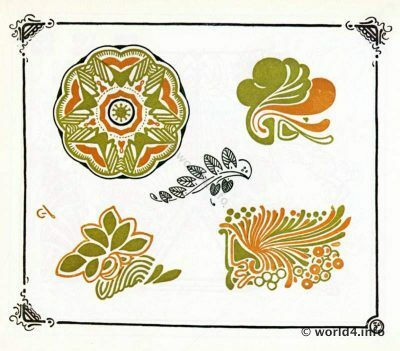 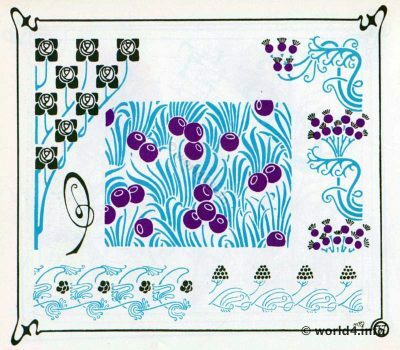 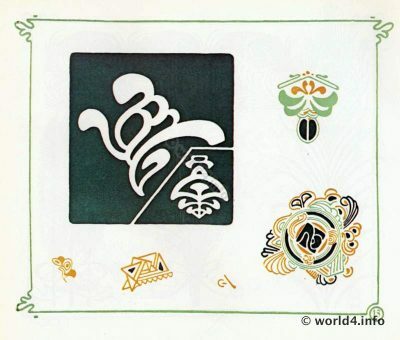 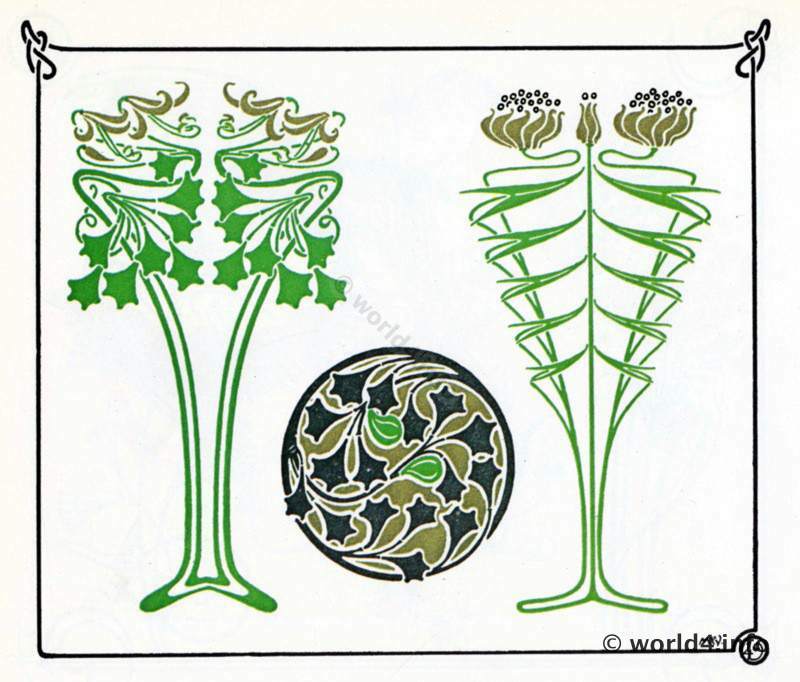 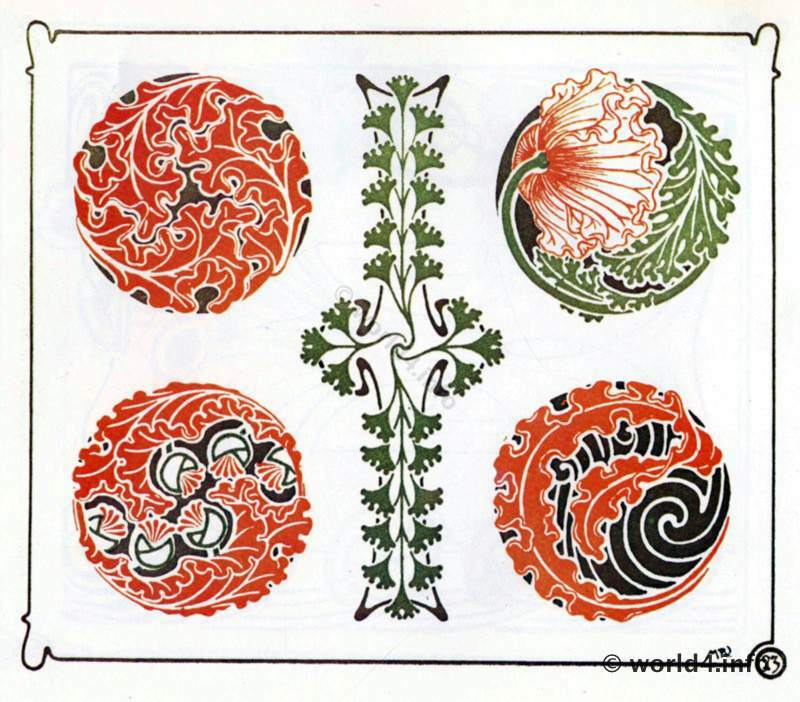 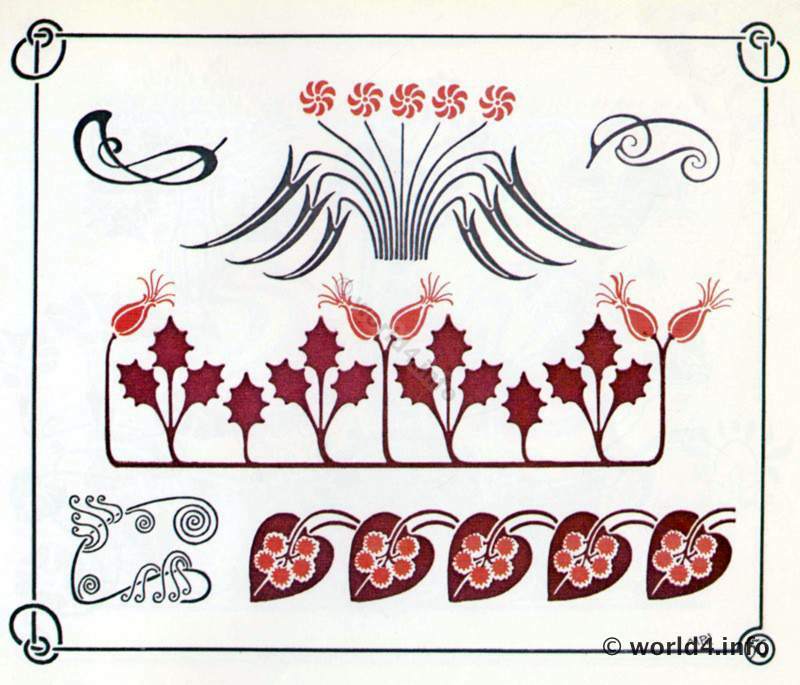 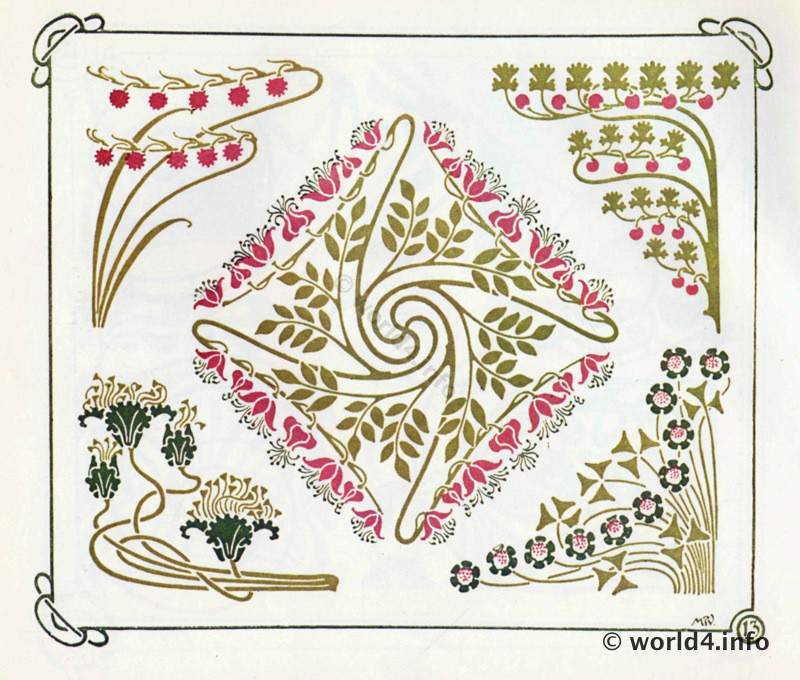 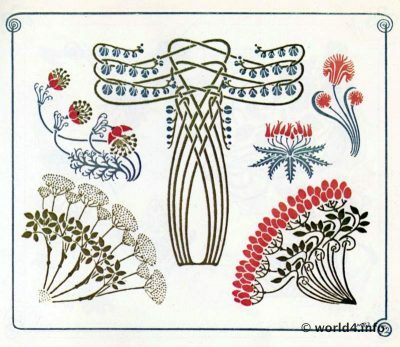 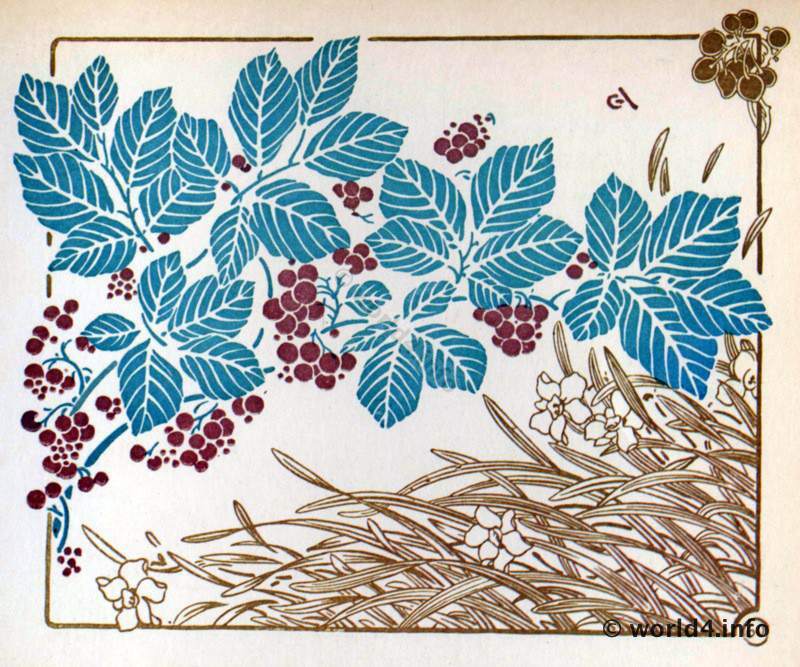 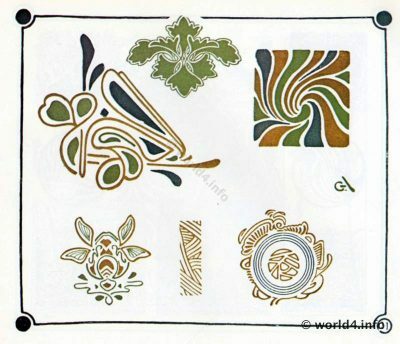 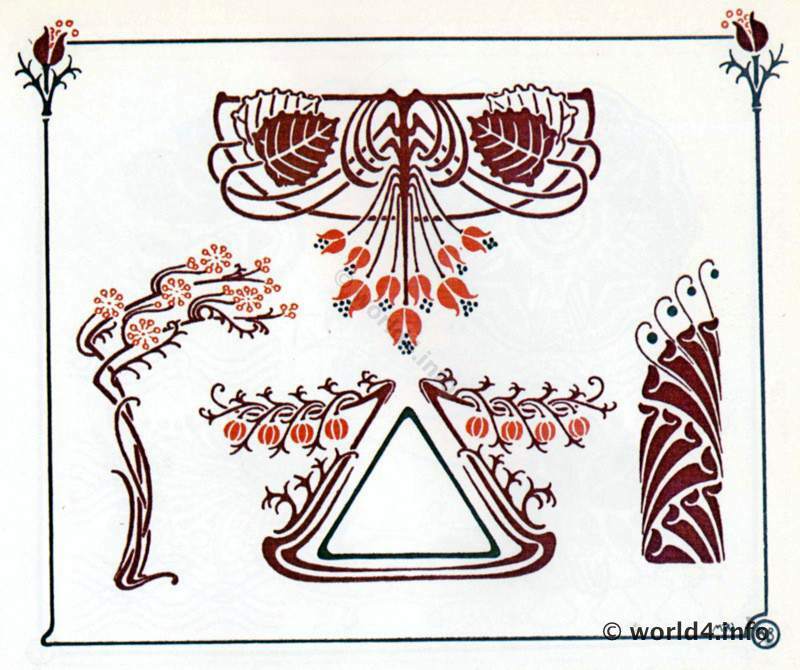 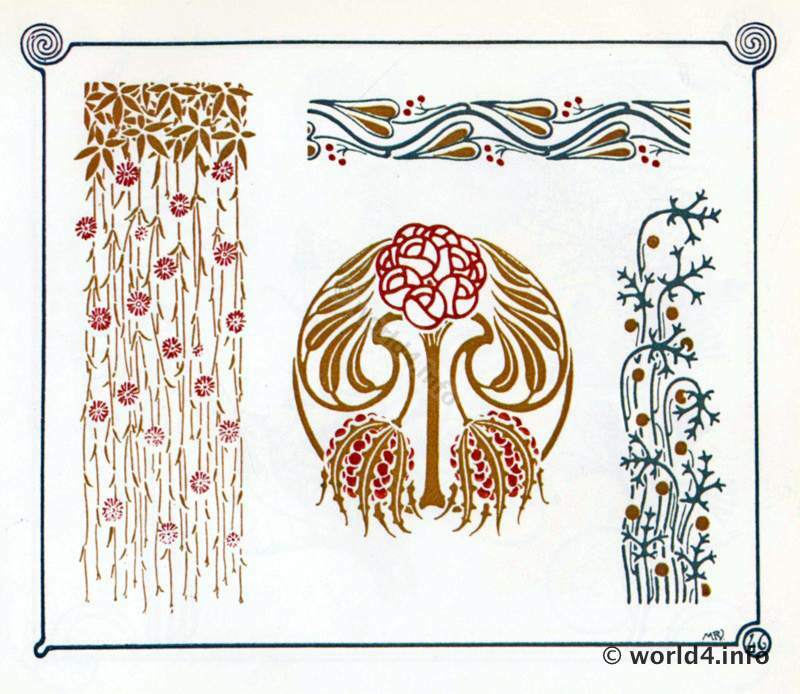 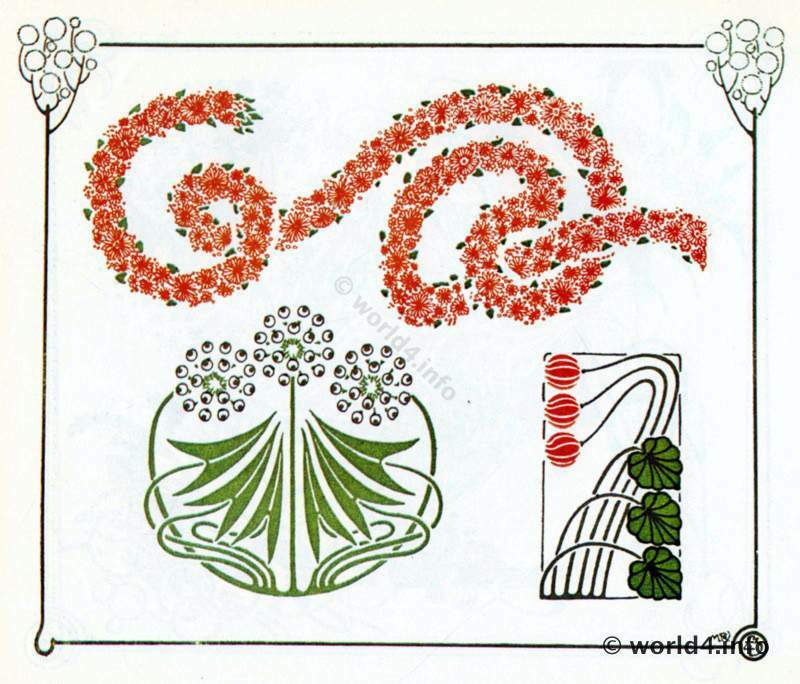 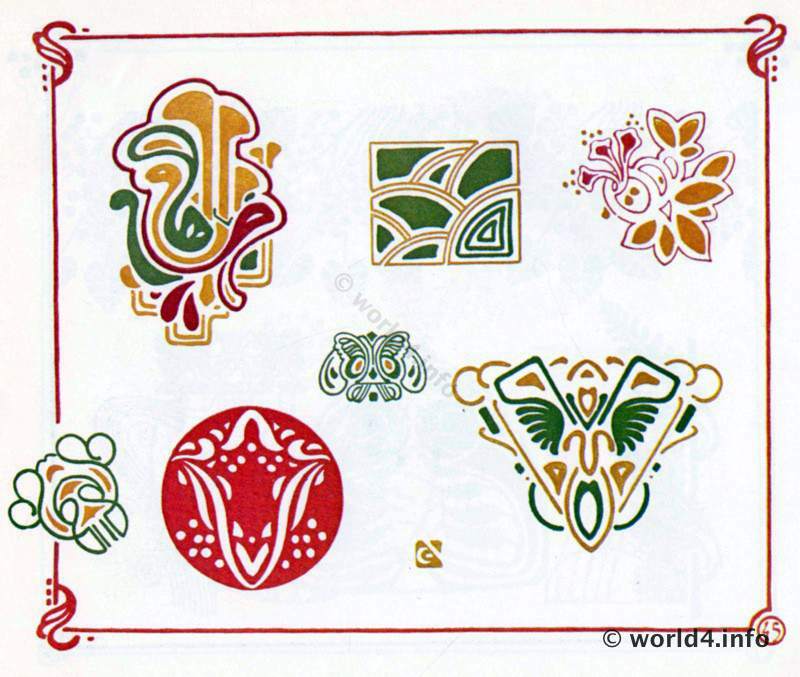 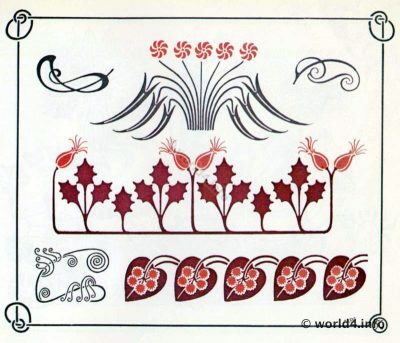 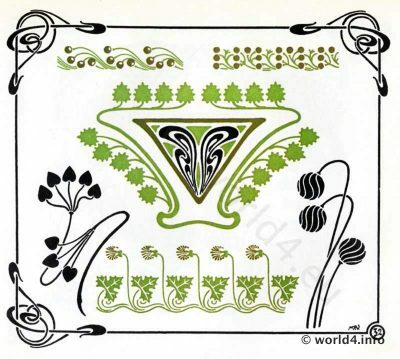 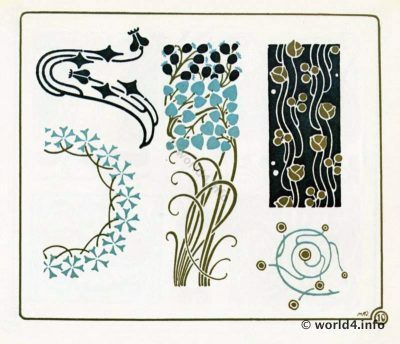 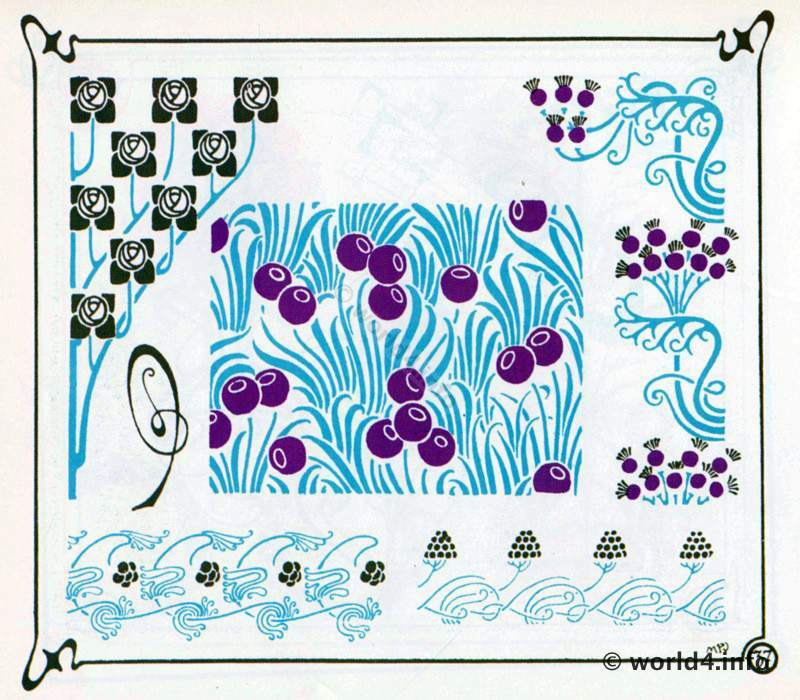 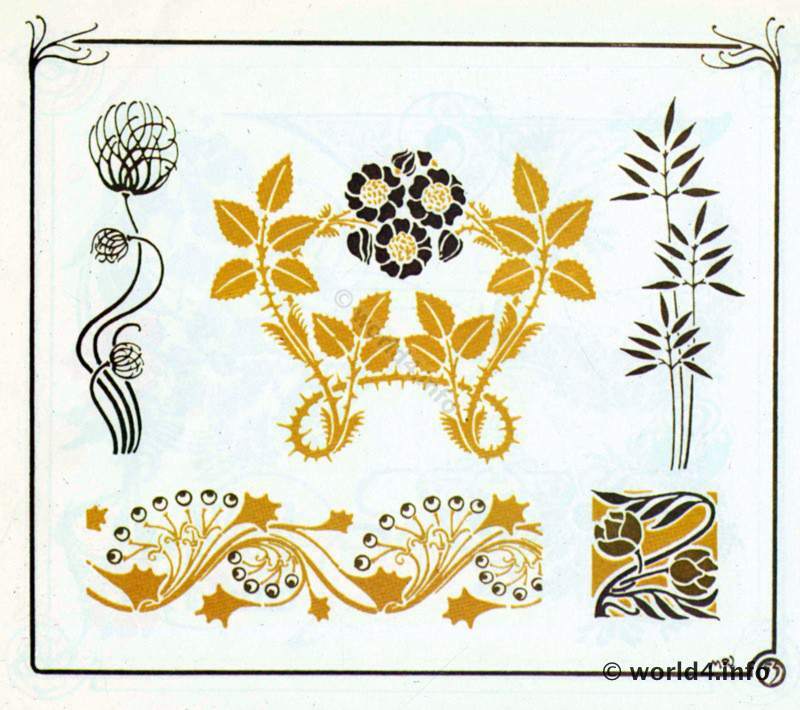 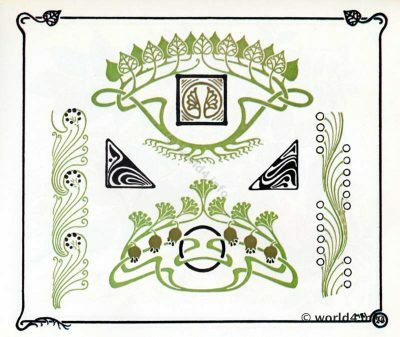 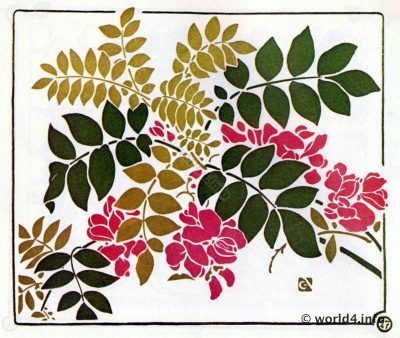 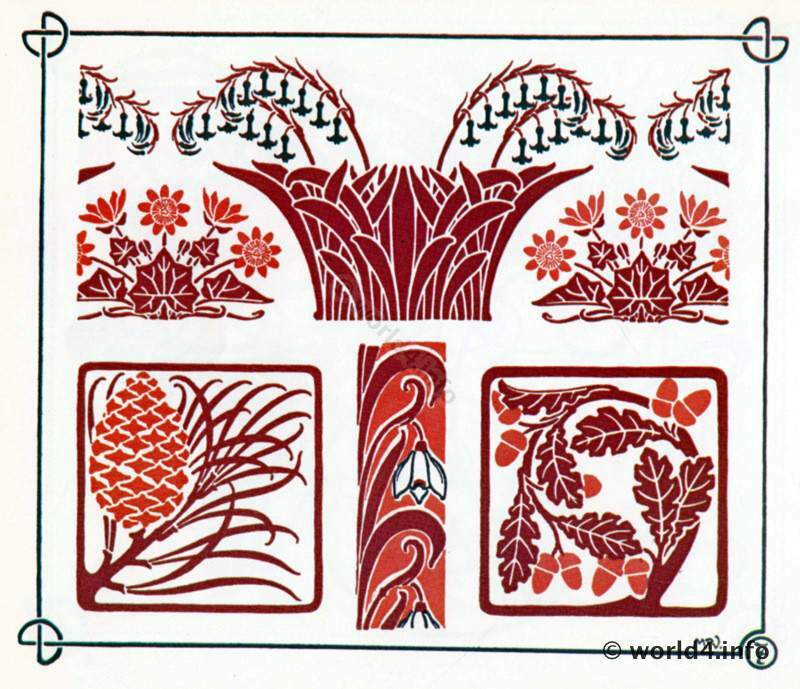 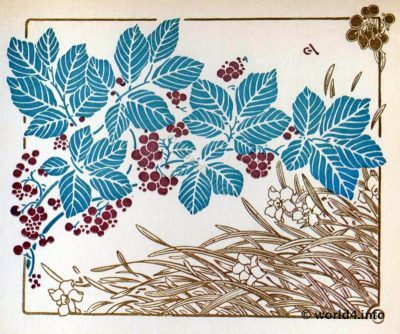 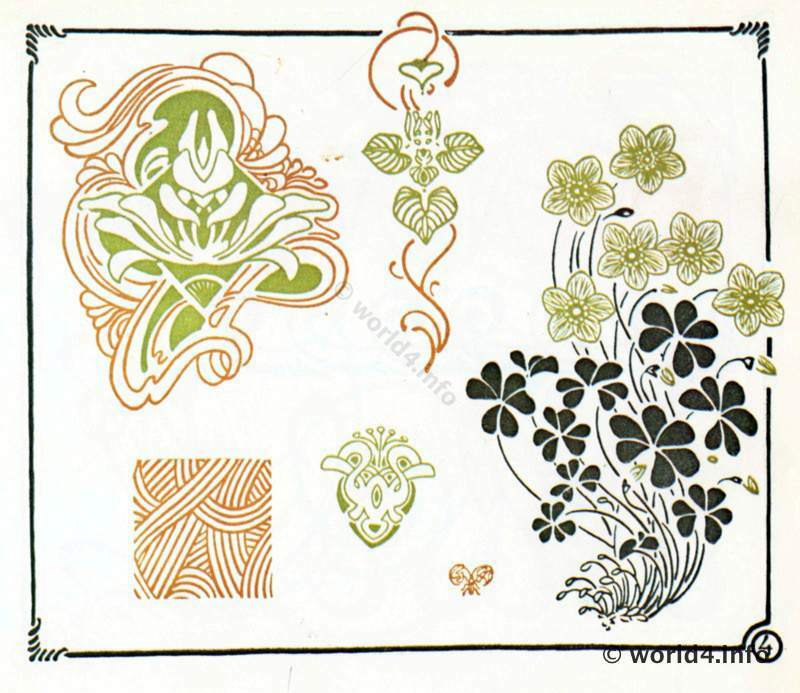 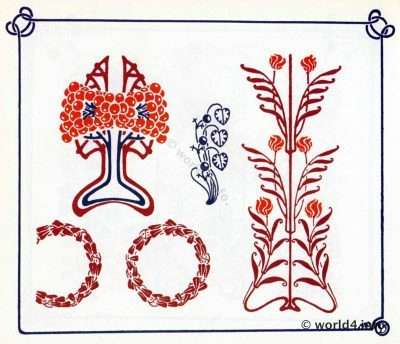 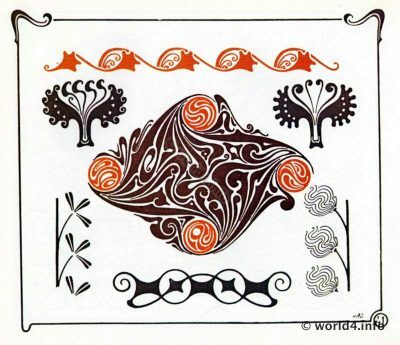 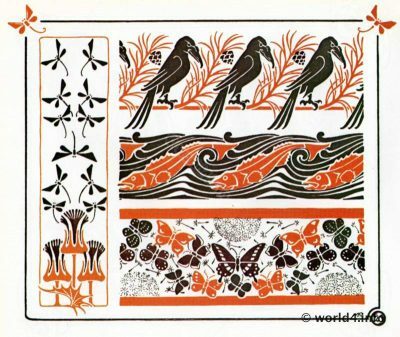 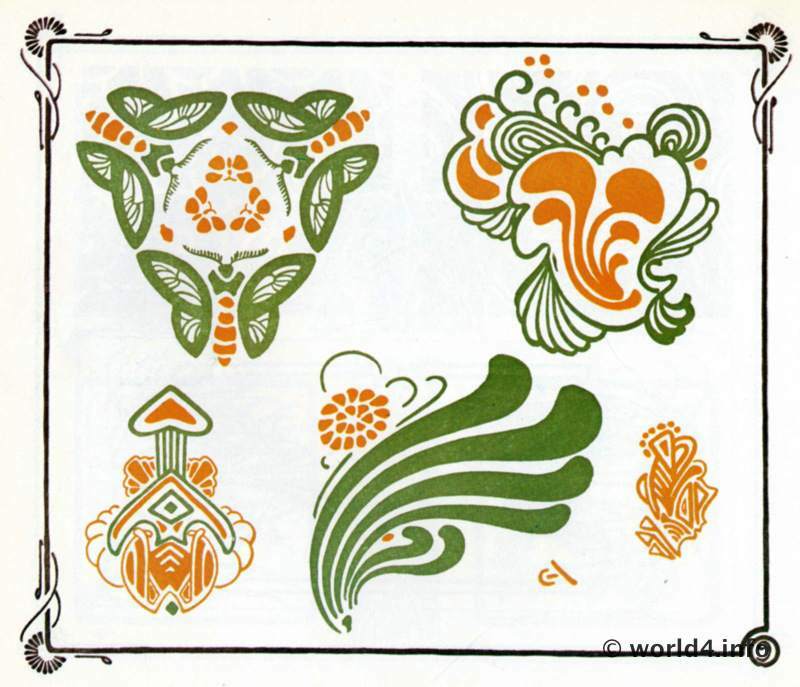 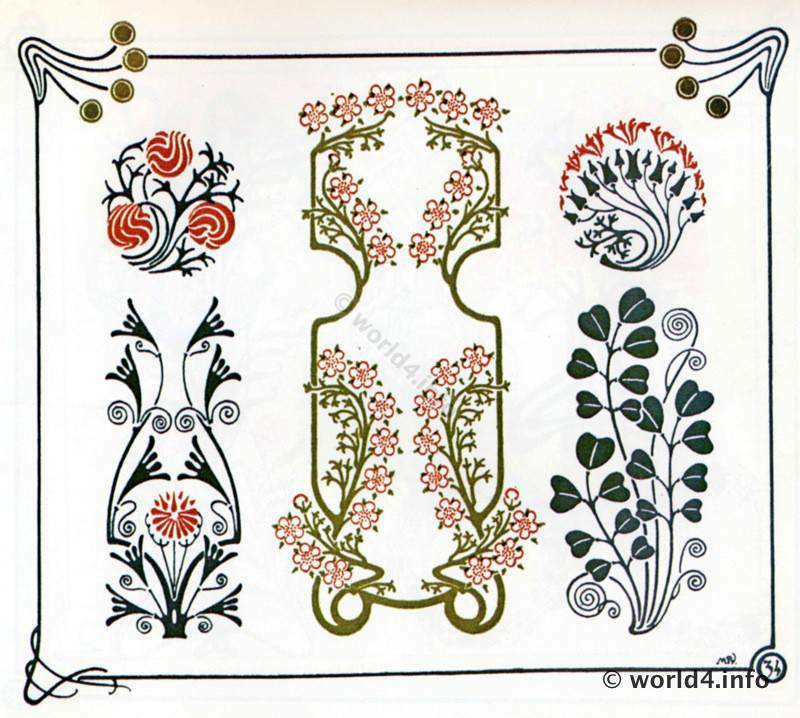 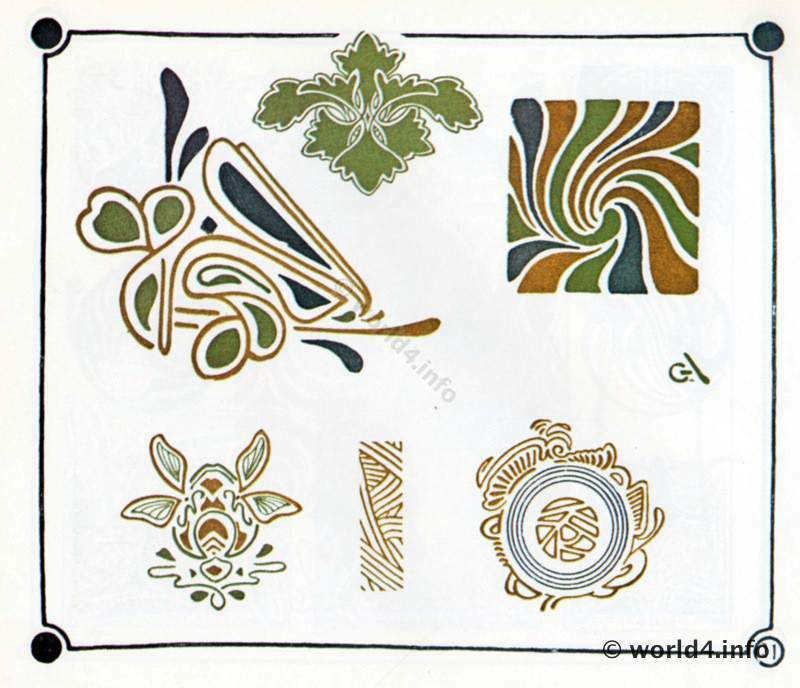 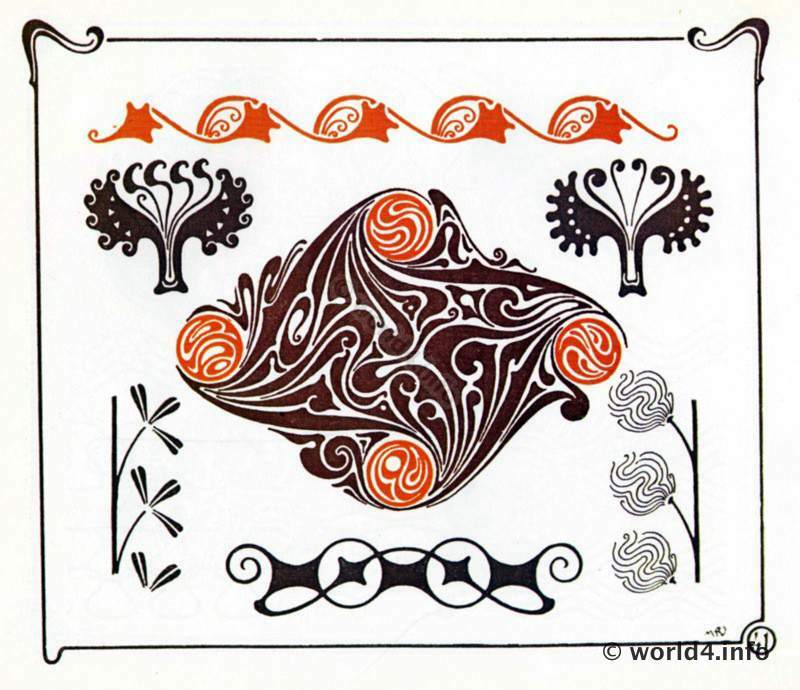 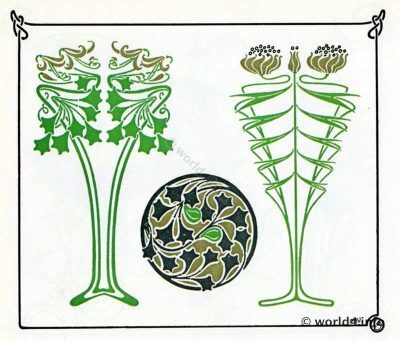 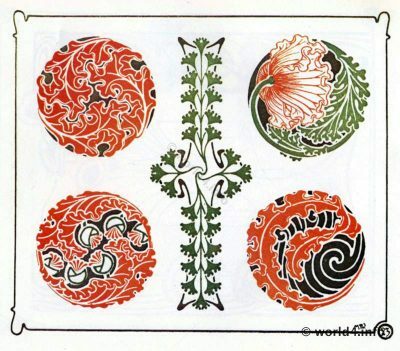 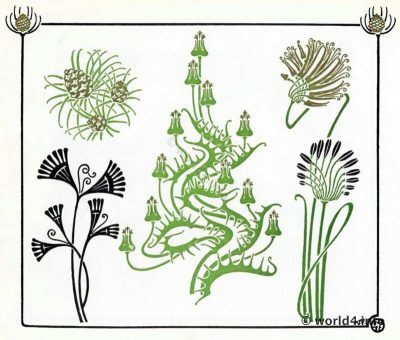 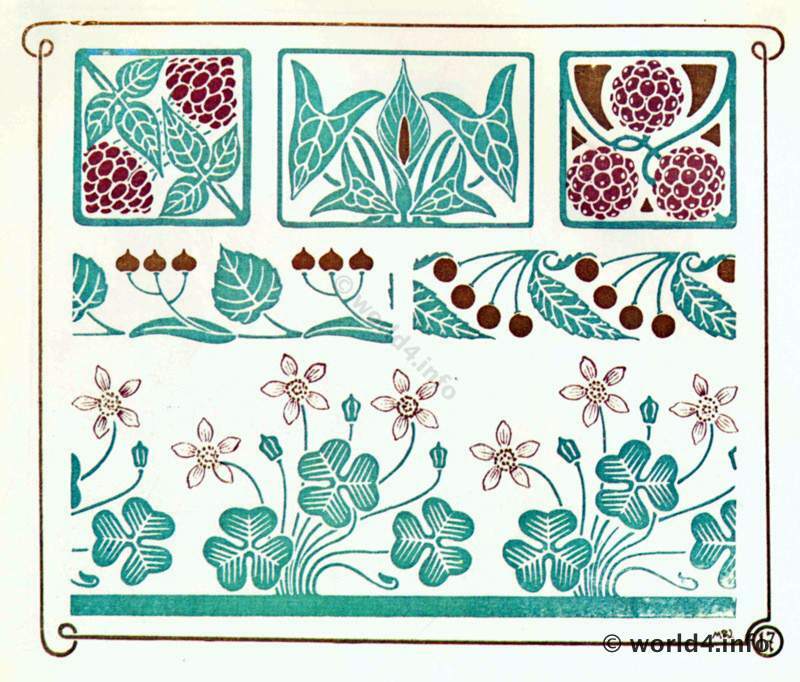 Art Nouveau Ornaments, plant and flower graphics design. Decorative arts by Alfons Mucha. 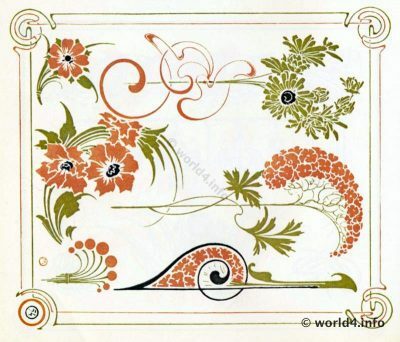 Alfons Maria Mucha (July 24, 1860 in Ivančice (Eibenschütz) in Moravia; † July 14, 1939 in Prague) was a Czech poster artist, graphic artist, illustrator, painter, amateur photographer and artisan who is considered one of the outstanding representatives of Art Nouveau.